I don’t want to get into too much of a analytical with the breakdown of this book, but it was not what I was expecting—a noiry type, fantasy, thriller. 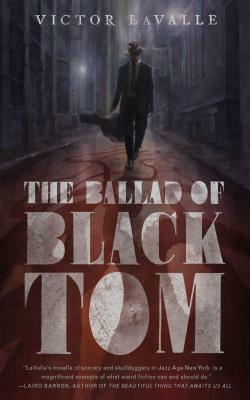 Though, I find that to be irrelevant because The Ballad of Black Tom doesn’t distinctly represent the usual expectations that a fantasy, historical horror story would, which is part of the reason I liked. As an apparent homage or retelling of Lovecraft, this book was definitely a unique read for me. 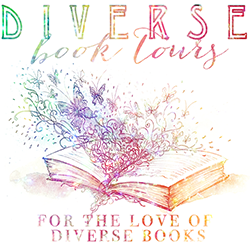 Not only because of the variations in the book’s genres, but because of the strong racial injustice and emotional tether at the core of the story and the author’s decision to shift perspectives in the flow to the narrative. Some may not agree with me on this, but I found the callus, unhindered racial injustice theme in this book to be the most jarring. Call it a residual effect of watching all of David Cronenberg films—the possible true king of body horror—several times over. However, reading material that shows dehumanization of anyone race/ethnic background is always sickening for me. Making others out to be emotionless, mindless, and helpless, while subsequently painting them to be dangerous people with nothing but malicious intent is equally infuriating and moronic. And the raw, gritty nature of Tommy’s work in 1920s New York not only brought to mind a fainting reflection of society today, but also emulated a world of social horror. Readers will no doubt grasp the emotional tether connected to Tommy and his father at the core of this story that drives Tommy’s character forward. Regardless of the magical/other worldy circle Tommy finds himself in, his single driving motivation is his father. However, that emotional connection the readers have not only to Tommy and the story gets severed the moment the narrative perspective shifts from Tommy to Detective Malone in the second half. I saw this as shift as a good and bad thing. In the second half, we immediately step into a darker reality. For example, Black Tom meeting Detective Malone again in Red Hook in the second half of the book. Malone’s character describes seeing Tommy as having aged and stripped free of his innocence. This made me think about Suydam’s house and it’s ability to travel outside. Not meaning just outside of physical spaces and locations, but outside of time and different realms, even. Which only made me more curious as to how much time had actually pasted for Black Tom’s character from the moment he turned his back on Suydam in his library and on us. Weeks, perhaps months? And it is in this that I felt the perspective shift was a bad thing. The young Harlem boy transformed into a man in the blink of an eye. We become deprived of the inner circle happenings of Black Tom and Robert Suydam entering the second half and in a way, which diminishes any sort of emotional connection to the characters and story until the end of the book when all of that emotion comes back with a vengeance. For such a short book, I was also surprised by how much the narrative seemed to also cover. Like white supremacy, the idealistic hypocrisy of a “white savior” thinking he can be the next coming on the backs of those he’s “saving,” or how the down fall of men lies in our obsession with power (Robert Suydam) and knowledge (Det. Malone). Overall, I enjoyed the unfamiliar territory this book pulled me into, but the story left me racked with so many unanswered questions: Was the Sleeping King a reference to God? Did he wake up? Did he covertly take hold of his new throne and our world as the new god? Did Black Tom become a spirit or cross over to another realm when he jumped out of that window? Was he ever really there? Have I been over thinking this entire thing a little bit too much?? It’s possible. Ergo the reason behind my rating. It’s definitely a story I would put on my recommended reading list and one that I wouldn’t mind reading again in the future because of its simple, yet layered complexity. As always, thank you so much for reading! 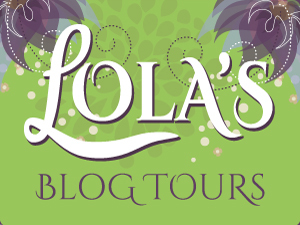 I hope I was able to spark a bit of interest for The Ballad of Black Tom and that you check it out for yourselves. Posted in: Book Post, Book Reviews, Books | Tagged: #bloggerrecommendations, #bookclubreads, #booklover, #BookReview, #bookreviewpost, #diversitybook, #DSFFBookClub, #readdiversebooksyearround, body horror, body horror king, book spoilers, david cronenberg, diversity on the shelf 2016, film references, historical fiction, horror, lovecraft based, nnedi okorafor, novellas, racial injustices, short stories, social horror, the ballad of black tom, thought provoking reads, Urban fantasy, urban fiction, victor LaValle, who fears death?